Having spent 25 years working in Silicon Valley, it is interesting to compare the way business is done there to in the UK. I think the major difference is that the pace of change in San Francisco is significantly faster, with big companies rising and falling in quick succession, so a ‘question authority’ attitude is just assumed, and it is expected that serious disruptions are coming to every business. In the UK, the pace of change still remains a bit slower, which is not entirely a bad thing of course, rapid change can destroy things very much worth sustaining, and the real challenge is to find the right balance. The biggest lesson I think UK businesses can learn from California business is to be more proactive in predicting and preparing for change. Starting and sustaining a business both require constant re-evaluation and rapid reaction, so you need to understand and anticipate how all the capital and decisions that affect you, your customers and your competitors are going to shift. It is of course very difficult to look far ahead and plan long term when you have immediate urgent business, this is the well-known ‘innovators dilemma’ that all incumbents suffer, and the solution is to separate out that job into a network of more nimble start-ups. It is great to see the UK has embraced this idea and an entrepreneurial culture is getting well established. There are huge similarities between UK and US business too of course and one of the biggest must be the recognition that to be successful in business you have to build an effective support network. Being able to tap into a pool of talented, experienced people you trust and connect them with like-minded business partners around the world is what allows entrepreneurs to become serial successes and gather the resources and credibility to access the larger amounts of venture capital needed for bigger plays. 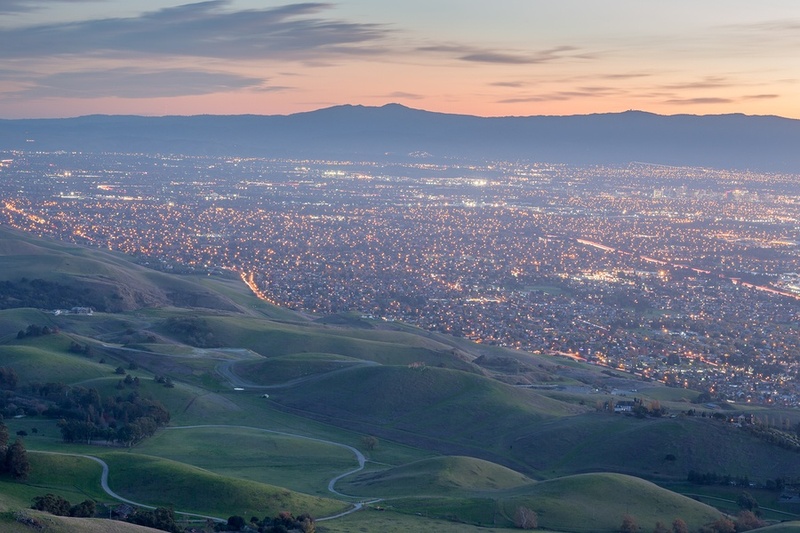 Business networks in Silicon Valley are much more dynamic than the traditional UK versions, being based on recent achievements and talent rather than status, wealth and upbringing. It is great to see this expansion in networking is happening all across the UK too, LinkedIn seems to be as popular here as anywhere, and we need to keep building this momentum by getting new talent and money into the right networks. I was drawn to SETsquared as it offers the perfect network for entrepreneurs and growth businesses to flourish. Universities offer a totally unique environment for developing new talent and ideas. Stanford University is very much at the heart of the Silicon Valley and is the starting point and catalyst for many of the tech ventures based there. SETsquared is a partnership of five outstanding research intensive universities, a really powerful combination. It acts as a magnet for innovation, investment and talent and that’s why we’re seeing so many successful businesses graduating from the SETsquared stable. Going forward I will be helping Exeter member companies to grow and develop as well as helping to launch SETsquared’s new scale-up programme. When you’re scaling a company – competition is global, supply chains are global. You can’t sell one thing in isolation, you have to offer a whole solution and large, open systems are complex – you have become part of a bigger pool. And this is where I can bring my international network to bear, in helping SETsquared companies find international partners at speed. I am very much looking forward to expanding my own UK network through SETsquared and would strongly encourage everyone interested in creating a disruptive enterprise to come and join us.